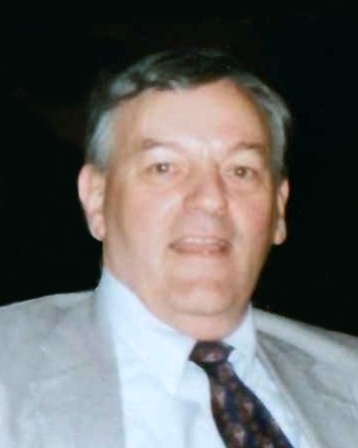 Kenneth A. Henrick, 80, of Methuen, passed away at his home on Sunday, February 3, 2019 with his family by his side. Born and raised in Lawrence, Kenneth was one of five siblings, born to the late Joseph P. and Ursula F. (Splaine) Henrick. He received his Master’s Degree from Fitchburg State University. Kenneth was a former member of the Methuen City Council, a school committee member, and also served on the Methuen Housing and the Greater Lawrence School Committee. He worked as a guidance counselor for the vocational technical high school in Lawrence. His greatest pleasure was helping the students of Greater Lawrence. A proud member of the United States Marines, Kenneth was a founding member for the Marine Corp and Navy Corpsman Monument that stands at the Veteran’s lot at St. Mary Immaculate-Conception Cemetery in Lawrence. In addition to his parents, Kenneth was pre-deceased by his brothers, Daniel Judge, George Henrick, and Joseph Henrick. Kenneth is lovingly survived by his loving wife of fifty-seven years, Mary R. (Loughlin) Henrick; his sons, William Henrick, and his wife Lisa of Haverhill, and their children, Emily and Daniel Henrick and Elyse Fairburn, Ken Henrick, and his wife Cheryl of Newburyport, and their children, Patrick, Kyle and Ryan Henrick, Timothy Henrick, and his wife Paula of Windham, and their children, Erin and Sean Henrick, Michael Henrick, and his wife Beth of Methuen, and their children, Shane, Stephanie, Michaela and Anthony Henrick, Brian Henrick, and his wife Courtney of Milton, and their daughter Raegan Henrick; and wonderful brother, James Judge. He is also survived by several nieces and nephews, especially nephews, Shawn Indeglia and Daniel Judge; and his sisters, Barbara Schroeder and Nancy Karcz. Relatives and friends are respectfully invited to attend visiting hours on Thursday, February 7, 2019 from 4:00-8:00 PM at Cataudella Funeral Home, 126 Pleasant Valley Street in Methuen. A funeral mass will be held on Friday, February 8, 2019 at 11:00 AM in St. Monica Church, 212 Lawrence Street in Methuen. Interment will take place at St. Mary Immaculate-Conception Cemetery in Lawrence. In lieu of flowers, donations may be made in Kenneth’s honor to the VHL Alliance, 1208 VFW parkway, Suite 304, Boston, MA 02132-4344 or Alzheimer’s Association, 309 Waverly Oaks Road, Waltham, MA 02452.